This , "Remnant", is Mr. Hyeong Gi Yang's favorite word. He said to me, "As the oak leave stumps when they are cut down, so the holy seed will be the stump in the land. 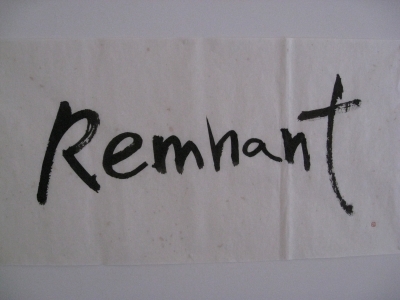 Remnant means literally,"stump" and it means life, even though it is cut,they are alive. So they can live again. It means"remaining" from the Bible. ".